How do I use the 3D Vision USB IR emitter? 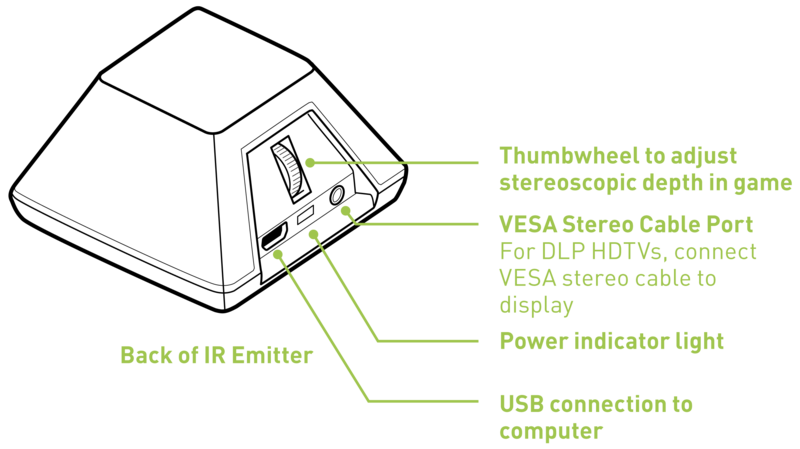 The 3D Vision USB IR emitter is required to use 3D Vision with a 3D Vision-Ready LCD monitor. 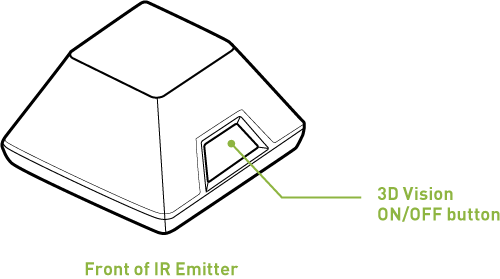 The pictures below illustrate the USB IR emitter and describe how to use the buttons. My display is 3D Vision Ready but is not detected as one. Does the 3D Vision emitter show up in Windows Device Manager?